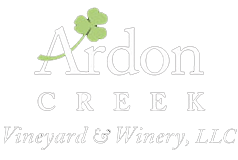 Our on-site Ardon Creek Tasting Room is open for sampling and purchasing wine or other Ardon Creek merchandise. Our wines are available in many grocery stores, Wine & Spirits Shops and a few flower shops in the Eastern half of Iowa. Please check the list below to see your nearest location. We are pleased to be able to ship our wine through vinoshipper.com to the following states: AK, AZ, CO, DC, FL, GA, HI, ID, IN, KS, LA, MA, MD, ME, MN, MO, NC, ND, NE, NH, NM, NV, NY, OH, OR, PA, SC, TN, TX, VA, WA, WI, WV, WY (AL & CA with special process shipping). Ardon Creek is working to expand the number of states we can ship to in the future so please check back.